Don’t be thrown off guard in your resignation. In the candidate short market of the Australian Business Intelligence and Data Warehousing space it is becoming increasingly common for employers to make promises and offers of increased compensation to employees that resign. While counter offers may be tempting, and even flattering, they are often knee-jerk reactions made by your employer in desperation to retain you and there are significant drawbacks for you. Is the counter offer and promise of more money/promotion a short-term solution to avoid an immediate inconvenience for your employer? Often your loyalty to the company is called into question for future projects now that you have admitted you’re looking to leave the company. If you’ve requested increased responsibilities/promotion for some time before, why is it only now that your employer is willing to offer these when you’ve decided to leave? 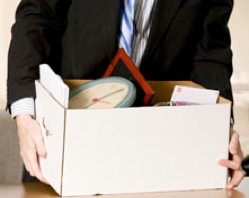 Have your chances for promotion been hindered by handing in your notice? Again, trust and loyalty are called into question. Will anything actually change if you accept a counter offer? More often than not the reasons that made you want to leave in the first place remain the same and your feelings revert back to the unsettled state after a short time. If your employer is making promises to keep you there, are they putting it in writing? It may demonstrate a certain distrust to question a counter offer in this manner. It’s worth noting that the majority of people who accept counter offers voluntarily leave their employer within six months due to unfulfilled promises. Did you miss out on a better opportunity in comparison to the one you did leave for, if you hadn’t accepted that counter offer? While accepting counter offers may be financially attractive and easier because it means avoiding the stress of resigning they can be a double-edged sword and significantly impair your chances of achieving career potential.